What is Study-English-Online.Net? And how is it connected with EnglishLab.Net? 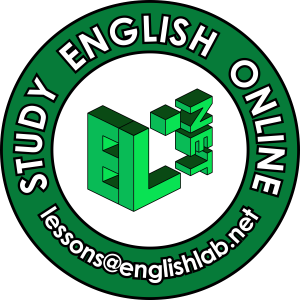 EnglishLab.Net is a website and the name of a private online English language school. The latter is a registered limited liability partnership with its headquarters in the European Union. The website has been around several years longer than the school. Both belong to the same person. Study-English-Online.Net is a Learning Management System (LMS) which belongs to EnglishLab.Net. To put it in nutshell, Study-English-Online.Net or SEO.Net for short is a web application with password-protected virtual classrooms. It is 3-in-1 place on the Internet, namely an educational website, a social network, and a language learning content management system. Why is Study-English-Online.Net an educational website? It is an educational website because its mission is to give people opportunities to practise and improve their English. Why is Study-English-Online.Net a social network? It is a social network because its functionality lets people form pairs and small groups in virtual debate and discussion classrooms – when several students get together, they can socialize in the very same way they would in an onsite classroom, the only difference is that when they are online, they are expected to use an IP telephony solution, such as Skype, for voice, ie to have a voice chat. Why is Study-English-Online.Net a language learning content management system? It is a language learning content management system because it has a large database of learning objects which are also known as language learning tasks. They are the building blocks that debate and discussion classrooms are made of. Visually, the majority of learning objects are a combination of some pictures and text. If need be, they could also be enhanced with diagrams, tables, audio, video, and/or interactive elements, such as polls and/or multiple choice quizzes. 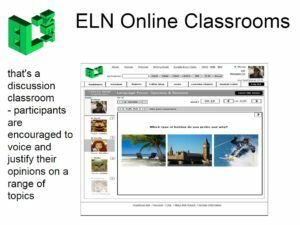 What is a Virtual Discussion Classroom? Simply put, it is a kind of chatroom, where invited participants led by a tutor take part in organized learning activities. The tasks or learning objects are displayed on the main screen for everyone to see at regular intervals. To help the students make the most of the discussion, the classroom is equipped with timers, which facilitate turn-taking, and the board is used to show rules and additional instructions. What makes the ELN Discussion Classrooms special is that students get to talk for real and can hear each other’s voices via Skype. What is a Virtual Debate Classroom? A Debate Classroom is in many ways similar to a Discussion Classroom. What makes it different is that it makes it possible for lesson participants to form two teams and take part in competitive language learning activities, such as debates, when one team has to argue in favour of a given idea, while the other team has to support the opposing view. One of the key functionalities of a Debate Classroom is comprised of note-taking boxes where the tutor can type quintessential summaries of the ideas generated during class as well as make other notes. After the lesson, it is possible for all the students who took part in the debate to review the notes via the interactive schedule. What is the Interactive Schedule and what does it enable users to do? The Interactive Schedule is a separate module of the system that features class times, course descriptions and lesson summaries, and homework. It also lets SEO Net users see what courses and lessons are planned for the future. Who do Study-English-Online.Net and EnglishLab.Net belong to? 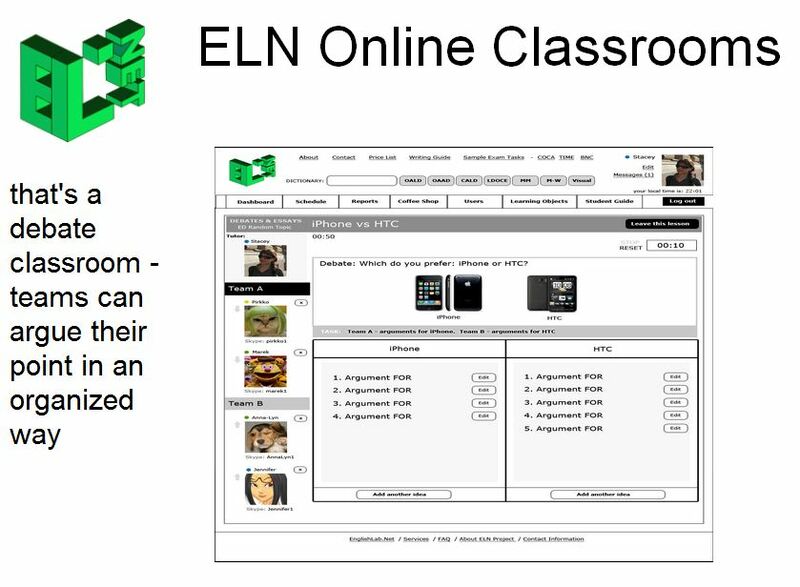 Both websites along with the web-based English Language school EnglishLab.Net ((the ELN for short) are the property of a highly qualified and experienced teacher of English, IELTS tutor, and teacher trainer from Europe. Her name is Anastasia (Stacey) Andros. You can connect with her on LinkedIn.